I’ve been engaging in some constructive play and exploring the use of the new custom icons and slides available at ThingLink EDU. My first slideshow is an interactive Professional Development Calendar. I believe the calendar will be able to grow with me throughout the year and I think it will be a lot of fun to use. Here is a very nice poster from Edutopia to enjoy! I love to create with images and multimedia so today I am excited to discover Bunce. 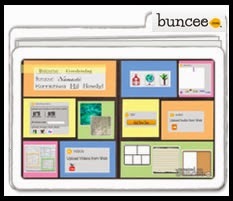 Here is the official description of Buncee. I created a Buncee to illustrate all the things you can do with Buncee. My brain is spinning with ideas for teaching and learning. At first glance, it is certainly a nice image creation tool. There are many possibilities for creating and expressing learning here. This flexible, multi-media supported tool has a great collection of backgrounds and images to start with and it is a breeze to use. I am always looking for a way to precisely rotate objects and didn’t run across one here yet. Embedding could be slicker. Buncee doesn’t play well with Chrome. 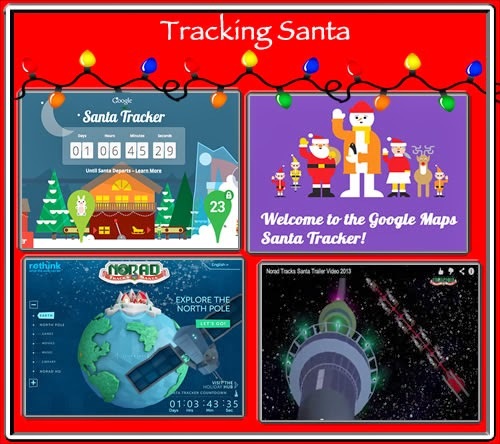 This year Google has brought us a multimedia rich Santa Tracker which will use street-view technology to help us follow Santa’s big journey on Tuesday evening. Now there is an alternative to tracking Santa through the NORAD cameras. Which will you chose? 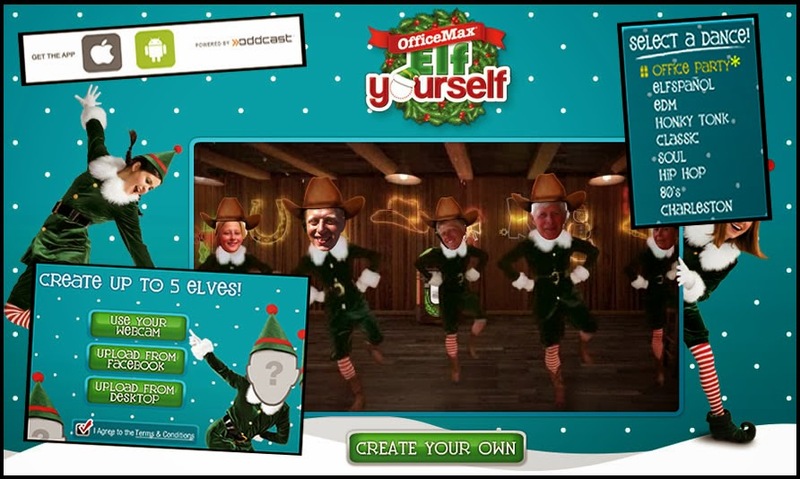 If you want a few genuine laughs this season, why not take a few minutes to put those camera photos to use and Elf Yourself? 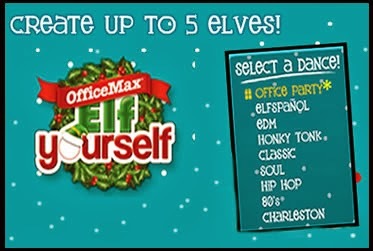 Choose your music and create an elf dance with the ones you love. You can use your your laptop to easily share a link to your video for free, or create an elf dance right on your mobile device and purchase the inexpensive video clip to download and share on the spot. Class Badges is a free online tool designed to help teachers use digital badges as rewards for accomplishing learning goals. The badges can be a useful tool for teachers to keep track of individual student accomplishments as they help learners focus on making progress. I really like Class Badges because the badges serve as a useful reminder for teachers to work with students on an individual level to set goals and assess progress. If used appropriately, they can improve students’ self-esteem as they work towards attainable goals. I believe this tool that can help teachers get a little closer to a 1-1 learning environment. Last year at this time I created a glog to promote digital literacy through the use of ClassBadges. Unfortunately there was not a lot of interest at the time, so I put the idea on hold for a while. Upon revisiting the ClassBadges website, I discovered a feature that allows users to easily create their own badge design so I decided to try it again, one year later. 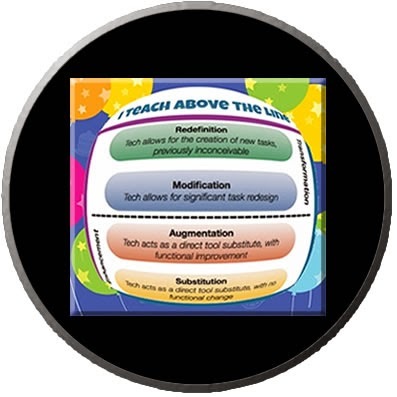 I designed the Teaching Above the Line Badge with some artwork created by my good friend, Janet Barnstable, and awarded it to a few teachers at my school who shared some great examples of Teaching Above the Line at a recent staff meeting. 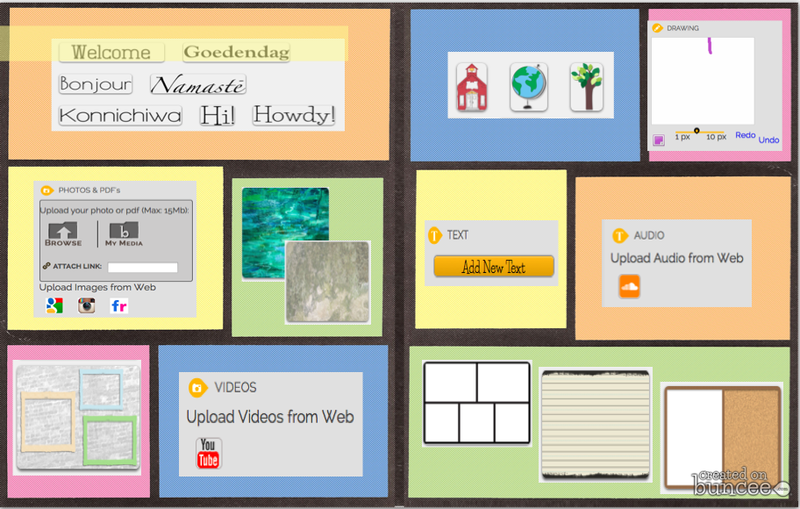 Here is the glog I created to promote Digital Literacy with Class Badges. I used MentorMob playlists to create step by step guides for earning the starter badges. My goal for 2014 is to introduce the idea of ClassBadges again and hopefully get some early adopters to join the campaign. Work with individual students and their parents to identify their own specific attainable goals and create a Google Doc for reflection and progress monitoring. Use comments to provide students with feedback. Attach badges to your grading rubrics and hold regular mini-conferences with students at checkpoints as they work towards completion of the assignment to increase their motivation to take their learning to the next level. Reinforce positive behavior and increase students’ self-awareness by focusing on badges designed to reward students for demonstrating specific behaviors that might be useful to increase instructional time. For example: Reward time on task or organizational skills. Make sure the badges are designed to encourage self-improvement rather than competition among students in the class. 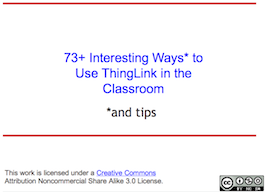 Are you looking for ways to use ThingLink? 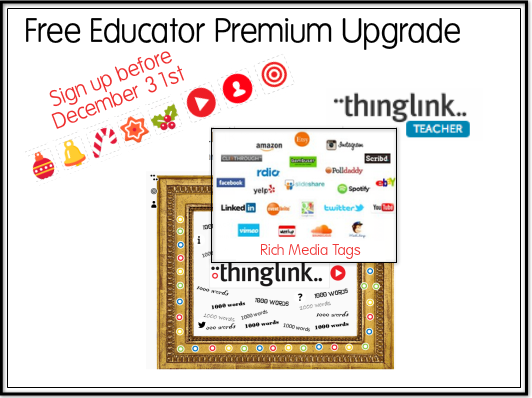 Are you wondering if you should sign up for the Free Educator Premium Upgrade before December 31st? Work within a protected education friendly environment. Explore more new and exciting features as they are launched after the start of the new year. Here is a bit of advice I give to all teachers who are just starting out with ThingLink. Start with something simple, something you know about. This will allow you to experience the ease of use of the tool itself without getting caught up in the power of being able to create virtually anything you can imagine for teaching and learning. 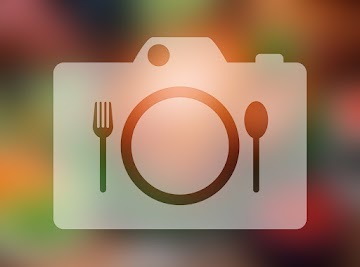 I used some of the new holiday icons to create this simple starter image. We live in a computer powered world. Coding is the language our computers speak. Have you ever encouraged a student to try coding? I learned all of this and more from the resources found on the Hour of Code website and it is my hope to encourage readers of this blog to check them out and participate too. If you don’t have an hour to spare next week, perhaps you can schedule one hour at another time this winter. Our students deserve to be introduced to Hour of Code and the activities provide us with a fun way to help students develop problem-solving skills. I had a lot of fun presenting a webinar today for Infinitec. Here is a link to the slideshow for review!